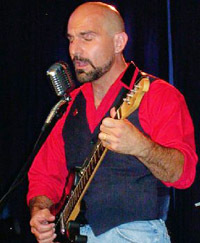 John Pietaro is a New York Communist Party USA member and musician. In 2013, John Pietaro was listed a a friend on the DuBois Clubs Facebook page. John Pietaro is a cultural worker and labor organizer from New York. He is a contributing writer to the People's World, Political Affairs, Z Magazine, Portside and other progressive publications. As a performer, Pietaro has shared the stage with artists such as Pete Seeger, Alan Ginsberg, Amiri Baraka, David Rovics, Fred Ho, Bev Grant, Anne Feeney and Ray Korona. Those invited, on Facebook included John Pietaro. Those invited to participate on on Facebook included John Pietaro. This page was last modified on 14 August 2018, at 03:20.